BT lost 16,000 TV subscribers in the fourth fiscal quarter to the end of March, compared with a net gain of 14,000 for the prior year. The decline takes BT’s TV base down to 1.74 million. BT saw its overall broadband base grow from 20.4 million to 20.7 million at the end of Q4, with Openreach fibre net additions of 555,000 compared with 520,000 for the previous year. Retail fibre net additions were down however, to 202,000 compared with 211,000 in its 2017 financial year. The telco blamed a series of circumstances for its disappointing performance, including Virgin Media’s expansion of its network, Vodafone’s move into fibre, Sky’s ongoing success with Now TV and TalkTalk’s efforts to grow its broadband base. On the upside, BT said that BT Sport continued to deliver strong viewing figures across all platforms in Q4, up 19% year on year. BT also announced that it was to reduce its overall headcount by 13,000 at a total cost of £800 million as part of a move to drive sustainable long-term growth in value. The company’s overall revenue in the fourth quarter to the end of march slipped by 3% to £5.97 billion (€6.82 billion). Revneue for the full year was down 1% to £23.72 billion. Adjusted EBITDA for the full year was down 2% to £7.5 billion. CEO Gavin Patterson said that the company delivered “a solid set” of Q4 results, with growth in the consumer divisions offset by declines BT’s enterprise divisions. Commenting on the results, Paolo Pescatore, VP of multiplay and media at CCS Insight, said that they highlighted “the ongoing challenges” the company faces. He said that the need for further cost reduction could hamper BT Sport’s ability to grow. Pescatore said that the consumer unit was facing “worrying times”. He highlighted the company’s recent decision to appoint EE’s Marc Allera as head of its consumer division as evidence of a likely new direction and pointed to the need for further convergence of the BT and EE businesses. “We do not expect major changes overnight. However, changes need to be made across the board with a clear focus on putting the customer at the heart of everything. There is no question that BT has the network assets to play a key role. And it could be well positioned to act as an aggregator of content. 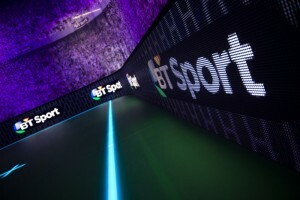 The BT Sport service still remains hugely successful which BT must leverage across its brands. Furthermore it must continue in driving innovation as a way of standing out in a crowded and cut throat market,” said Pescatore.